The five-door supermini will rival cars such as the Renault Clio, Ford Fiesta and Seat Ibiza. 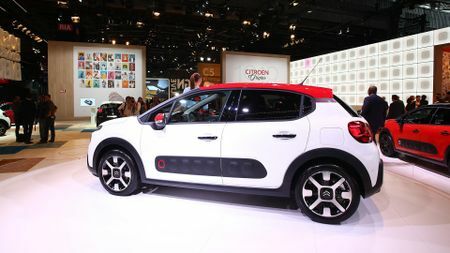 Citroen has debuted its all-new C3 at the Paris Motor Show, with the supermini drawing crowds at its home event. The five-door supermini has more than a smattering in common with the quirky C4 Cactus, with the addition of airbump plastic side protection panels to avoid car park dings, and split-level headlights. For the exterior, you can go for a whopping nine body colours, two-tone paint, three different roof colours, and contrast colour trims around the lights, mirrors, rear panels and airbump panels. 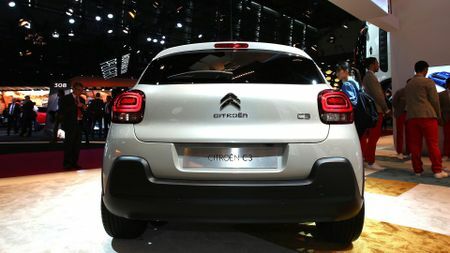 The new C3 will come with a choice of three petrol engines: A 1.2-litre with 68bhp, 82bhp and 110bhp (as with the C4). 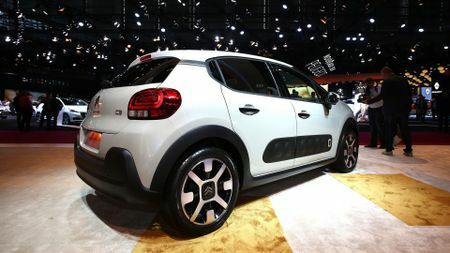 As for diesel, Citroen will offer a 1.6-litre unit developing 75bhp or 100bhp. Stop-start will be standard on all models, and a six-speed automatic gearbox will be available as an option. For the interior, there’s plenty of room to put your own stamp on things, with plenty of customisable options, including interior paint in a wide, vibrant colour palette, textile wraps, and chrome finishes. 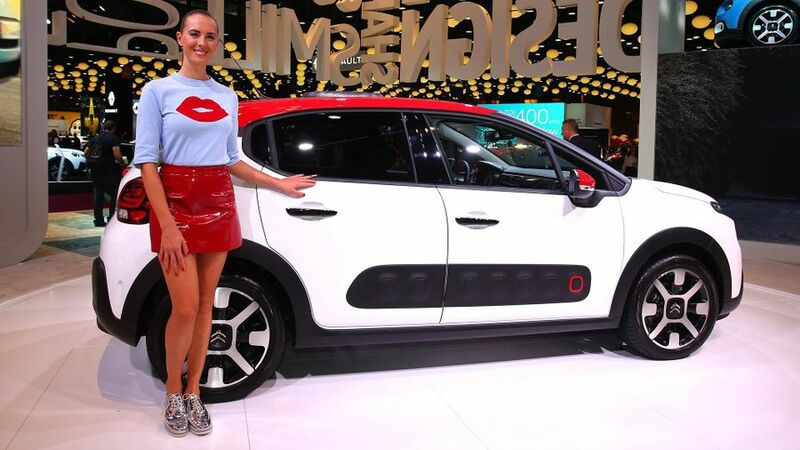 Citroen has added a ConnectedCam, which uses a camera in the rear view mirror to act as a dashcam (apparently the first car with an integrated dashcam). It’s perfect for recording footage after an incident, or, if you can’t resist taking selfies and videos while driving, that too. There’s also a 7-inch touch-screen – with sat-nav, Apple CarPlay, Android Auto and MirrorLink – keyless entry, a reversing camera, lane departure warning, and blind-spot monitoring. 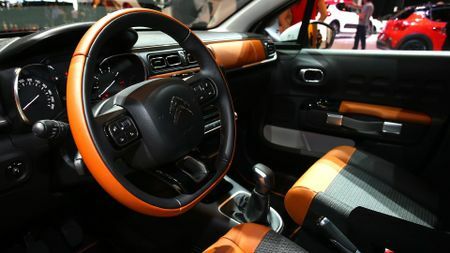 Plenty of storage space has been built in, with a central cubby, large storage bins in the front doors, and, Citroen claims, the largest glove box in the segment. The boot is a sizeable 300-litres, which is the same as the Renault Clio, and slightly bigger than the Ford Fiesta and Seat Ibiza. The new C3 is due to arrive in UK showrooms at the start of 2017. Prices are expected to start at around £11,000. Interested in buying a Citroen C3?